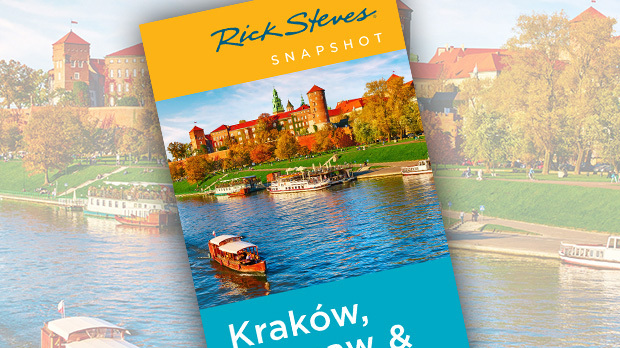 I like to think of Kraków — located in the southern region of perhaps Europe's most underappreciated country — as the Boston of Poland. It's a charming, vital city with a strong sense of history, unforgettable sights, and fun-loving college students. Though not the capital, Kraków is the cultural and intellectual center of the country — and deservedly Poland's most popular destination. While Kraków seems made for aimless strolling, those with a smart sightseeing plan are well-rewarded. 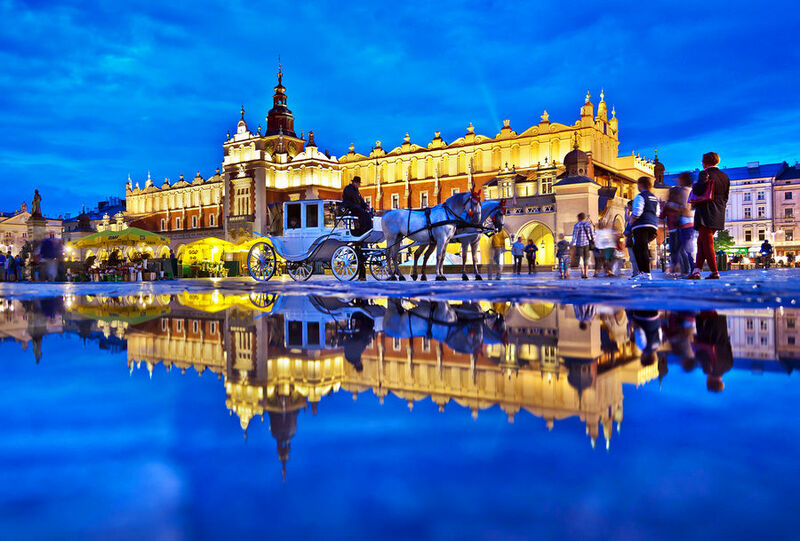 Its historic walls and former moat corral a full range of attractions: wonderful museums, captivating churches that evoke a powerful faith (including many sights relating to Poland's favorite son, St. John Paul II), leafy parks, stirring Jewish heritage sights, and a burgeoning foodie and nightlife scene. The city also makes a good base for a compelling side-trip to the most notorious Holocaust site of the Third Reich (Auschwitz-Birkenau). Within its medieval walls, Kraków's Old Town converges on one of the most charismatic squares in Europe: the Main Market Square. Anytime of the day, I enjoy choosing a café, sinking deep into my chair, and absorbing the gorgeously intact buildings around me. I suddenly hear a bugle call. Glancing around, I pan up to see its source: a trumpet poking out of the tallest tower of the hulking, red-brick St. Mary's Church. Just as I spot the sun glinting off of the trumpet's bell, the song stops abruptly, causing the crowd below to chuckle and applaud appreciatively. 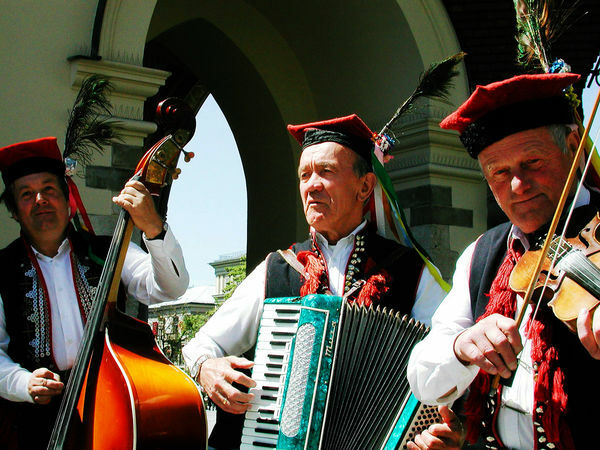 This tune — performed every hour on the hour — comes with a legend: During the 1241 Tatar invasion, a watchman saw the enemy approaching and sounded the alarm. Before he could finish, an arrow pierced his throat — which is why even today, the music stops — subito — partway through. Ready to move on, I toss a few coins on the table to cover my tab — and head into the Rynek Underground Museum. When the square was excavated about a decade ago, workers found so many coins, tools, and artifacts of archaeological value that the city opened this excellent museum. Here, at 12 feet below street level, I get an intimate look at medieval life in Kraków. Back on the street, I linger as I find my way through town. Curiosity leads me into Staropolskie Trunki ("Old Polish Drinks"), a friendly little place with a long bar and countless local vodkas and liquors — each one open and ready to be sampled. For about $3, I get a complete vodka education with a cheery local bartender who talks me through five different tastes. After my private vodka tour (which makes me uncharacteristically giddy for so early in the day), I keep walking and end up in Wawel Hill. The most visited sight in Poland, this is considered sacred ground, a symbol of Polish royalty and independence. Though a castle has stood here since the 11th century, the highlight is Wawel Cathedral, which houses the tombs of the country's greatest rulers and historic figures. A stony jungle of memorials, it's the Westminster Abbey of Poland. Eventually, my stroll takes me to Kazimierz, the city's historic Jewish Quarter. Once upon a time, most of Europe's Jews lived in Poland. And Kraków was their social and political base. This is where the big events of World War II intersected with ordinary, everyday lives. The businessman Oskar Schindler ran his factory here, saving the lives of more than a thousand of his Jewish workers. Now, one of Europe's best museums about the Nazi occupation fills Schindler's building. The museum tells more than the story of Schindler and his workers, it explains the full experience of Kraków during the painful era of Nazi rule. The market square of Kazimierz retains the gritty flavor of the town before tourism and gentrification. While travelers come to see Kazimierz's historic sights during the day, it isn't a "preserved" neighborhood like the cute town center. Throngs of young clubbers bring the streets to life after dark, and an ever-changing array of bohemian-chic restaurants make Kazimierz an evening foodie destination. Ten million Americans trace their roots to Poland. Many of those who visit their ancestral homeland for the first time feel as if they're coming home: from the comfort food their Busia cooked them to the kindness of distant cousins they encounter. But you don't have to be Polish to fall in love with Kraków's vibrant main squares, in-love-with-life pedestrian drags, and sophisticated shopping boulevards. This mingling of a rich historic and thriving contemporary scene makes Kraków the ideal place for the traveler to feel the beating heart of Polish culture.